1.1.16 Read below for more 30 games to download totally free that don’t require internet to play. There are many games for Android and iOS that are no wifi games free. Game industries are rapidly evolving and every 2nd or 3rd game that you download from play store requires an internet connection. You can’t play the game fully without internet or wifi. Developers don’t want to create offline games due to piracy problems. Offline games for Android and iOS can easily be copied and distributed for free. We can’t play our favorite games when there is no internet. Internet is not available everywhere. You won’t get wifi in public transports and on the road everywhere. You get bored and you can’t play your favorite game now because of no internet. We have created a list of No Wifi games free that you can enjoy whenever you don’t have internet. These games that don’t need WiFi are really interesting and you will surely love them. Offline games are getting very popular among gamers having low internet connection. There are many countries where internet connection isn’t so good hence they are really popular there and it contributes to millions of download in those countries. Many games are available for both iOS and Android. There are few good games which are available only for Android or iOS. We will also list few paid offline games for Android and iOS. These free no wifi games are high in quality and really good to play in free time. Word cookies is game for people who want to improve their vocabulary. The word cookies game comes with an interesting graphics. You will see a frying pan with some letters inside it. You need to combine letters in different directions to make a successful word. There are empty spaces at the above frying pan which will be filled with words of the pan. You have to either find words or even sentences. You won’t get bored with this. There are many levels. With each successful level you will get coins which you can use for hints in upcoming levels. There are some special level in the game through which you will get additional coins to get help in next levels. Game is available for both Android and iOS. Asphalt 8 is one of the best racing game available for both iOS and Android that you can play. It can be played without wifi. There are more than 300 million players who are playing it. It’s a very popular game. Asphalt 8 has mind blowing graphics and amazing card to race with. You also need a high configuration device to play this no wifi game. It required more than 1 GB of memory to download and install this game. If you love racing then you must install this best no wifi game on your phone. You can read more about this game on Wikipedia. Read below for more 30 games to download totally free that don’t require internet to play. Hungry shark evolution has stunning graphics and special effects to keep you addicted to the game. There are total of 7 sharks available in the game. You will get the first one to start the game while others will be available when you pass the levels. As a shark you have to control the underwater world. You have to keep fighting to go to the next levels. It’s a beautiful and unique game. Hungry shark evolution is a free game with in app purchases. Zombie Tsunami is another wonderful offline game for Android that you gonna love. You have to control a mob of Zombies and destroy the whole world making everyone into a zombie. You will get many obstacles along the way like helicopters, falling platforms, mines and much more. The simple aim is to collect as many zombies as possible. With a larger crowd you can control almost anything. Excellent animation, special effects and funny soundtracks are 3 best qualities of this no wifi game. Funny painted zombies and lots of different people will keep you addicted to this free wifi game. Epic skater is a wonderful free no wifi game with amazing 3D graphics and animation. There is a young skateboarder and he need to reach home from school. You will start skating to reach home. There will be many obstacles along the way that you have to pass on skate using tricks to overcome the distance. All the location are 3D and they look pretty natural. The main character, skateboard, surrounding objects, streets, houseroof, park etc.. You must download this no wifi free game for Android and iOS. Monster dash is a very interesting and fun no wifi game to play. It’s a two dimensional game in which main task to move forward by destroying coming obstacles. Main player will continue to move in the level. The only thing offered is jump. You have to make main character to jump from enemies and monsters. You will be offered lots of weapons, guns like pistol, machine guns and futuristic guns which shoots lasers and many other weapons. You will encounter spirits, ghosts and monsters along the way. It won’t let you get bored. The scenery of the game will continue to change giving it a fresh look. It’s one of the best offline games of 2019 to enjoy. If you have ever played Age of empires or Rise of nations then you will surely love this game on your Android and iPhone. You will get a small village with some hard workers in it. You will to develop this village into a much more advanced town will all the facilities. The construction process is available slowly as you move step by step into the game. You can see trees moving and butterflies flying in the game. The graphics and soundtrack of this game is also really good and you will feel positive while playing this free wifi game. 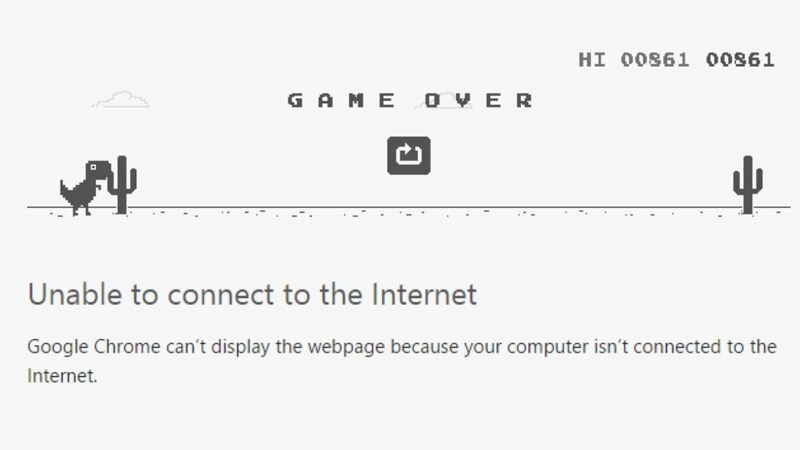 It’s one of the best free game without internet 2019. Minecraft is one of the best offline games that you can play without internet. It’s available for all platforms unlike other games which are available for limited platforms. Minecraft is a game of creativity. You can create almost anything in the virtual world. You can dream your favorite location and start creating it with the help of blocks. We have seen people creating building from the Harry potter movie. If you love showing your creativity then this is the game for you. Badland is one of the best action adventure non wifi games that you should play. The game does not rely heavily on guns and explosives but it has its own style. You have to find something wrong with the jungle that you are living in. Badland has great graphics and sound effects. It’s a very popular game on Android. It’s available for free on Android play store while it’s prices at $0.99 cents on app store. The free version of android will contain ads and in app purchases. Despicable me is quite popular non wifi game because of the popularity of the Minions and its movies. You have to keep running in the game collecting coins and other stuff while avoiding obstacles, fighting villains. The game doesn’t have anything new to offer but uses older mechanics. The game is also popular with the name Minion rush in some parts of world. Download the game and test it yourself. It’s also the top rated free android game on play store. The original plants vs zombies game was very beautiful and I totally enjoyed it. However the game was available on few platforms only. Plants vs Zombies 2 has been released which is now available for most of the platforms. In this game there are different kinds of plants that you have to grow. All of them possess some kind of power which you can use to destroy coming zombies towards you. The game is very interesting as how you manage to kill zombies using kinds of abilities being offered by the plants. It’s my favorite non wifi games. Infinity loop is one of my favorite no wifi puzzle game. When you get bored of all the action/adventure, racing and endless running games then you should try this puzzle game. It’s a puzzle where you have to join curved shapes to form another shape. There should not any breaks in between. There is a dark mode available to play as well. You have to break apart a big shape into pieces. It’s a game that don’t require internet connection to play. Hill climb racing 2 is also one of my favorite 2D racing game against obstacles. Hill climb racing 2 offers many kinds of vehicles from cycle to bus to drive on the road. You will different kinds of racing track which changes from forest to desert etc.. Each have levels inside it which is based on the distance covered. You also need to get the fuel in between to keep your vehicle rolling. You have to collect coins which are required for upgradation of engine, suspension etc.. It’s one of the best offline games for android. Brain it on is one of the top offline puzzle game which is based on physics. You have to build simple structures in the game however you have to keep the laws of physics in your mind while building the structures. If you fail to do so then your structure will fall. This free game is very challenging and fun to play without internet. If you love puzzles then you must download this free game for your mobile. Flow free is another great offline game for android and iOS in which you have to connect the dots of same color in a given grid. The game looks very easy and simple to play but only for few levels. As soon as you clear the initial levels the Flow free game takes a U-turn and you will start struggling while connecting the dots of same color. It’s one of the best games without wifi for free for android and iOS. Download and give this no needed wifi game a try. Doodle jump is an addictive game that I played for so long. You have to control an alien who wants to climb higher and higher. You have to climb up by jumping on certain poles and platforms. Poles and platforms are either static or shifting places. You can go up as much as you can. It will give you more points. If you fall down during jump the game will end and you have to play it again. The game is very simple yet very addictive. You don’t require internet connection to play it. Download the game right now. We grew up watching Smurf’s on TV one way or another. The little blue creature has made a mark in our memories from a very long time. If you still have love for it then Smurf’s village game is for you. The Smurf’s game is similar to Farmville and Cityville in which you have to perform a lot of different task. If you ever get bored then you can play mini games inside the game which are also fun to play without internet. It’s a complete non wifi game that you can enjoy on your mobile. Make more is a simple game in which you become a factory owner. You must train the workers and foreman to do specific tasks. The task will depend on the level that you are playing in. The entire Make More game is played in a factory and you are presented with interesting things time and again. You can even use bonuses to motivate your workers. Make More is a fun and interesting game that many people like. You should give it a try. Paper toss is yet another simple game that you can play without internet. You simply have to toss the paper into the dustbin. We like to throw papers into the dustbin in real life as well. If we have lots of waste paper then we can start rolling and checking our throw just like basketball. The game doesn’t provide any real value but you can use it for timepas. It’s a free no wifi game that you can play on iphone, iPad and Android devices. Traffic rider is one of the best bike racing games on Android and iPhone. Traffic rider is one of the few first person bike racing game on mobile platform. You can ride the bike with faster speed in ever changing traffic and speeding traffic. The difficulty of the game increases with time. You can drive 20 different bikes in this beautiful offline game. You will also get different tracks at different times of the day. Overall it’s a good no wifi free game to play on mobile device. CSR racing too is yet another top racing game with high quality graphics and sound effects. The game is more like Asphalt 8 except you can’t perform gravity defying stunt. You can play the game if you want authentic and believing driving experience without much hassle. The game features licensed cars that you can drive in the game. You won’t get these cars in any other racing game. Download CSR Racing 2 offline game for iPhone and Android. If you are a fan of bike racing then racing moto is the perfect game for you. Bike racing is not bad and you get to drive on different roads with many kind of superbikes. The game is very easy to play and you will understand the controls very easily. You will start with a Harley Davidson bike. You will get to drive many other bikes with faster speed as you progress ahead in the game. You need to dodge traffic that comprise of different vehicle having different speeds. Racing Moto is a great offline game for android. If you love racing game in 2D then Earn to die 2 is one of the best racing games that you can play without internet. Earn to Die 2 is based on the post apocalyptic setting. You have to find fuel and other resources in order to survive on the earth. You have to manage your fuel otherwise once it runs out of gasoline the game will be over. The lack of resources in the game will create a different kind of environment that only a person who played the game can understand. Overall Earn to Die 2 is one of the top offline game for iPhone and Android. Swamp attack is a very interesting game to play. It’s a total fun because it looks so realistic. There is an old man who is living in a swamp and want to spend his days happily. A mysterious virus infects the whole swamp and turns everyone into zombies. Every creature and zombies just want to slaughter him and the rest of the people who survived the infection of virus. It’s now his duty to survive from these zombies. You will get to fight all kinds of creatures including imaginary ones. 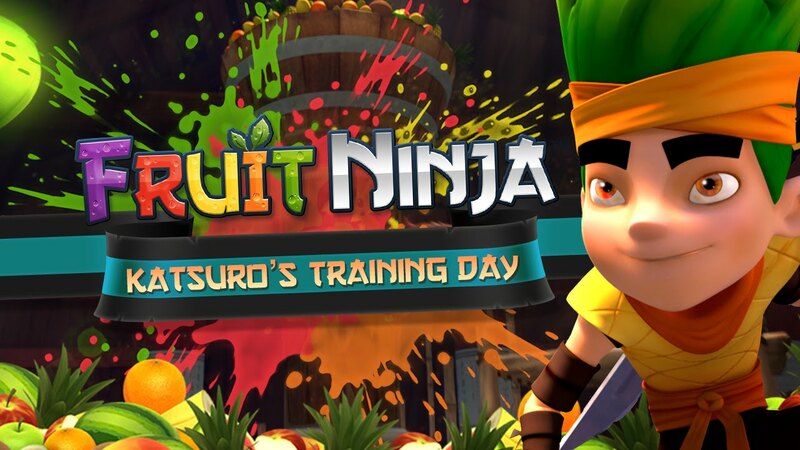 It’s a total offline fun game to play on android and iPhone. Dragon Mania is yet another popular no wifi game in which you have to grow and cultivate different kind of dragons. Everyone loves dragons whether they are big or little cute ones. It’s an offline simulator game. You have to grow dragons from little cute ones to bigger ones that are very dangerous. You get to collect various breeds of dragons. Once they are fully grown then you can start fighting with your friend’s dragons. You can even fight with Viking warriors that will be attacking your dragons from time to time. It’s a great no wifi free game for Android and iOS. Plague Inc. is one of the top simulator games that don’t need WiFi. You have to take control of a deadly plague. As a plague you have to ensure the destruction and killing of humans on earth. As the plague effects humans they will find different methods, cures and medicines to cure and treat them from the diseases. You have to evolve and become stronger to infect human beings. There are 4 difficulty levels to play. The game is very fun to play. Game is available for free on Android while it costs $0.99 cents on iOS. Neon shadow is an action game that is very popular among people of 90’s. Neon shadow offers you to save mankind from intelligent machines that are trying to destroy humanity. You have to save mankind from destruction by destroying all the machines. The game is a total fun to play. It’s a complete offline game for iOS and Android. Download the game right away and give your reviews on it. Monster Dash is a great 2D game developed by HalfBrick Studios. While nowadays almost all the games are moving towards being developed in 3D, Monster Dash is quite popular in 2D format only. You have to move upwards while destroying the monster coming in your way. The player will move upwards automatically. You simply have to jump whenever necessary. There are number of weapons available to destroy monsters. You can switch between those weapons to suit your needs at any point in the game. Download this non wifi games for Android and iOS. Geometry is a subject that most people don’t like. Even I don’t’ like it and I can solve barely few problems in geometry chapters. Geometry Dash Lite game seems to have something related to geometry. I didn’t wanted to download it but I did. It’s a very interesting game in which you (your character) have to go the end of level. Everything looks very simplified but you will be presented with many obstacles while going ahead. You have to use technique and avoid them to reach at the end. Simply give this cool offline game a try. Crossy roads is a 8 bit graphics endless running game. There are number of endless running games on the play store but this game is little bit different. Instead of running you have to cross the busy streets filled with high traffic by jumping. Crossy roads look pretty good even though it’s a 8 bit graphic game. People are playing it and that’s why it has made an entry in the top no wifi games for iOS and Android 2019.